SOVA is backed by a team of professionals with more than 20 years in the security industry. Our focus has always been on building maintainable, customer driven software. 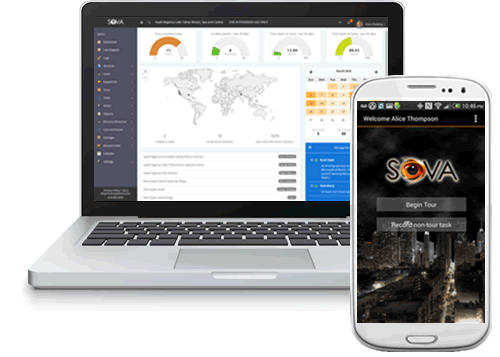 After 500 iterations in our mobile platform alone, SOVA is a robust software solution that can be tailored for use in a variety of industries. By taking input from our clients over many years, we have crafted a security management system that has all the features you would expect in an enterprise grade software, but remains at it's core, a straight forward, easy program to use. SOVA works equally well with or without dispatch. 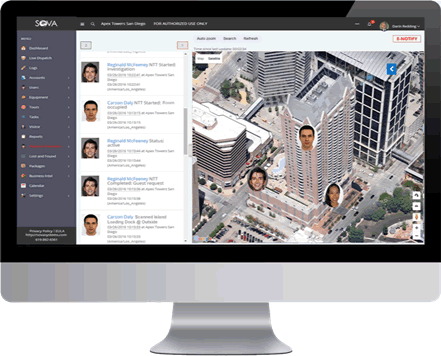 Our software was crafted with an understanding of the varied environments SOVA would be installed in, From mission critical security operations at luxury hotels and resorts, to single location security departments in retail, commercial, and industrial settings. We understand that one size does not fit all. While our platform currently deploys as one version with all of the features available, you simply choose to activate just what you need to tailor it to your operation.